Catherine Sharman / Flickr. Licensed under Creative Commons 2.0Baklava is a common dessert in Turkey. A meal isn’t complete without dessert. While that’s true around the world, desserts differ from country to country. Some are light and fruity, and some are rich and chocolaty. From Japan’s mochi to Poland’s poppy seed rolls, read on to see what people use to satisfy their sweet tooth in 24 different countries. 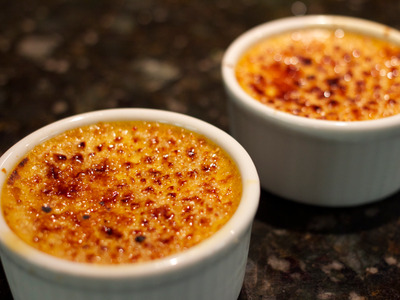 Crème brûlée is a favourite dessert all over France. It contains rich, creamy custard topped with a layer of hard, crunchy caramel that is just slightly browned. In Indonesian, dadar means pancake and gulung means to roll, so it's no wonder this dessert -- popular on the Indonesian island of Java -- is named dadar gulung. 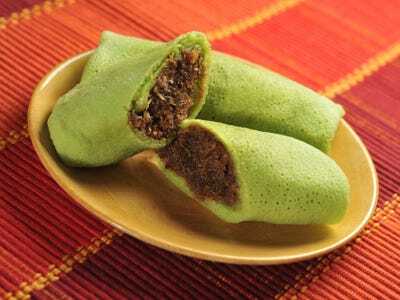 It's a green pancake made from pandanus leaves that is rolled and then filled with coconut sugar. 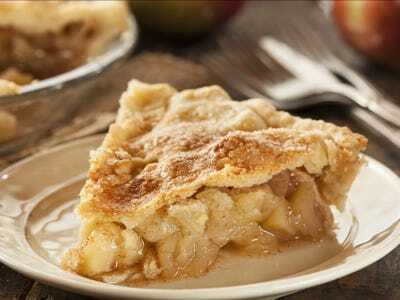 It doesn't get any more American than apple pie. The pie -- consisting of apple pieces wrapped in a flaky crust -- can be served with whipped cream, vanilla ice cream, or even cheddar cheese. 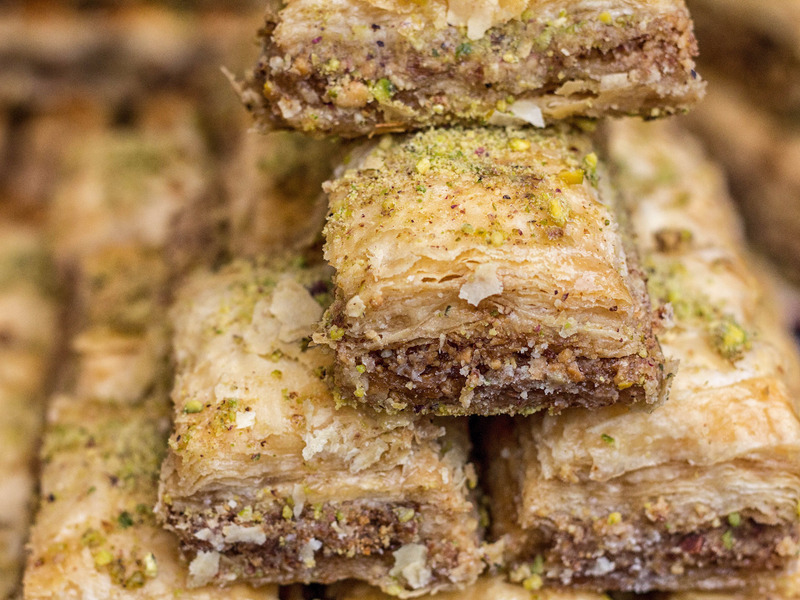 One of Turkey's specialties, baklava, consists of phyllo dough layered between a mixture of chopped nuts. The squares are held together by syrup or honey. The streets of Italy are lined with restaurants selling gelato, an Italian version of ice cream that is more like soft-serve than traditional American ice cream. Gelato comes in a wide variety of flavours, including raspberry, pistachio, rum, and chocolate. 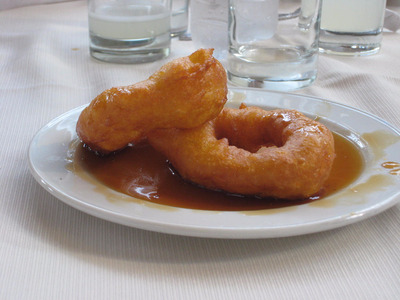 Picarones are a Peruvian doughnut. They're made by deep frying a combination of sweet potato, squash, flour, yeast, sugar, and anise. 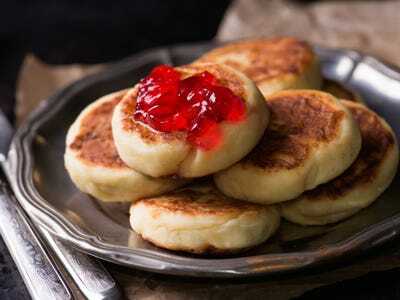 Russians are particularly fond of syrniki, a pancake that is made out of quark -- a fresh dairy product made from cheese that has a texture similar to sour cream. The pancakes are then fried and served with jam, apple sauce, sour cream, or honey. Tarta de Santiago is Spanish for cake of Saint James. 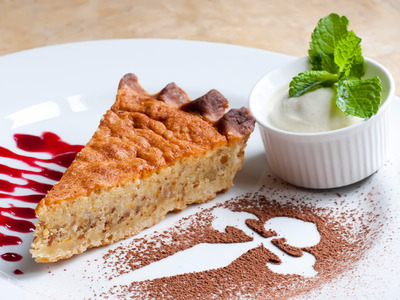 The almond cake has a rich history: It originated in the Middle Ages in Galicia, a region in the northwest of Spain. Japanese mochi gets its name from mochigome, a glutinous rice that is pounded into a paste and moulded into a circular shape. 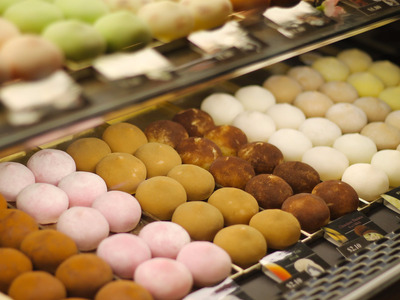 Mochi is available year-round, but it is most often eaten and sold at Japanese New Year. It is often wrapped around a small scoop of ice cream. Commonly eaten on Argentine independence day, pastelitos are flaky puff pastries filled with sweet quince or sweet potato, then deep fried and finished with a dusting of sprinkles. 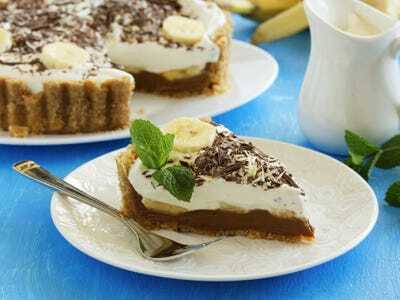 England is home to banoffee pie, a delicious pie made with bananas, cream, toffee, and sometimes chocolate or coffee. 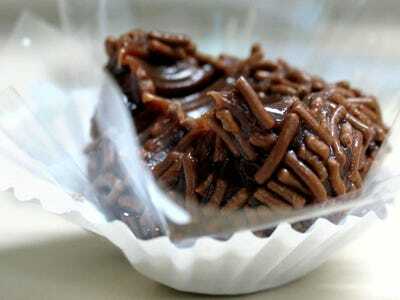 Brigadeiros are eaten at any major Brazilian celebration. Similar to a truffle, the dessert is made with powdered chocolate, condensed milk, and butter. It can either be eaten as a cooked mixture or be moulded into little individual balls covered in sprinkles. 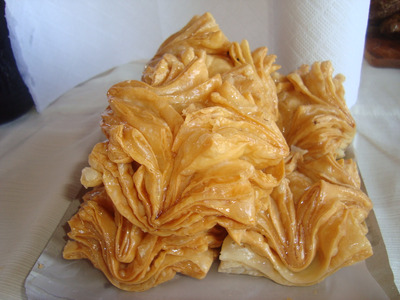 Dragon beard candy is not only a Chinese dessert, but also a handmade traditional art of the country. 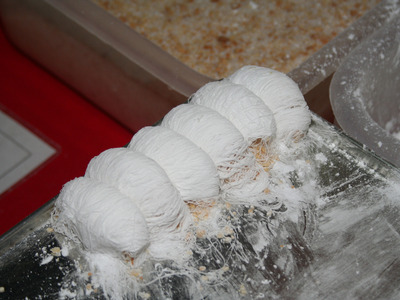 Resembling a white cocoon, dragon beard candy is made mainly from sugar and maltose syrup, along with peanuts, sesame seeds, and coconut. 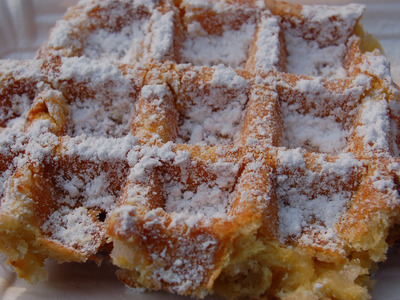 As the name suggests, Belgian waffles come from Belgium and are a common street snack throughout the country. The buttery treats are best when eaten warm and topped with powdered sugar or Nutella. 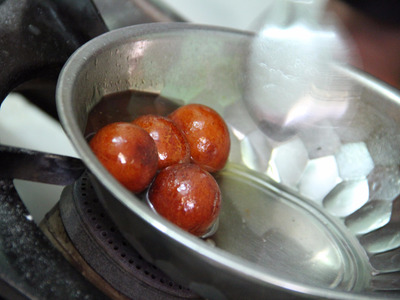 Gulab jamun is one of India's most beloved desserts, though it is also eaten throughout Southeast Asia. Best described as doughnut holes dipped in a sugary syrup, gulab jamun is made with milk powder and traditionally fried in ghee -- a type of butter -- and not oil. If Austria is known for one kind of dessert, it's the Sachertorte, a dense but not overly sweet chocolate cake invented in 1832 by Austrian Franz Sacher. 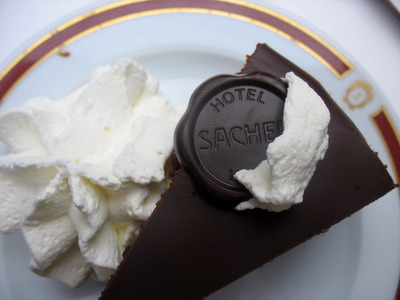 The recipe is still known only by confectioners at the Hotel Sacher in Vienna. 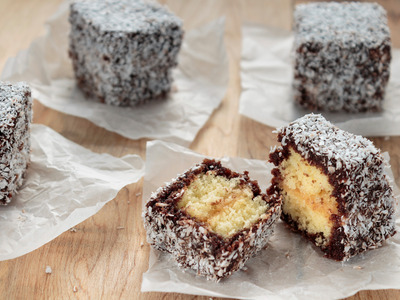 Lamingtons are Australian dessert squares that consist of yellow sponge cake coated in chocolate and then topped with coconut flakes. Schwarzwälder Kirschtorte literally translates to Black Forest cherry torte and comes from Germany's southwest Black Forest region. 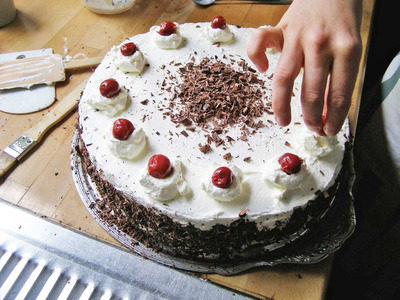 The mixture of cream, chocolate, cherries, and kirsch -- a Germany fruit brandy -- makes for a decadent cake. Skyr has been a part of Icelandic cuisine for thousands of years. 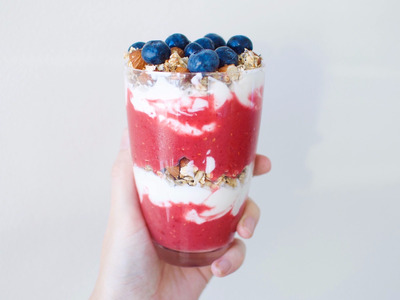 The yogurt-like dessert is served chilled with milk and sugar and sometimes fruit as well. 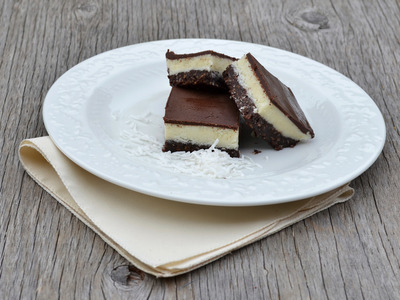 The Canadian nanaimo bar gets its name from the city of Nanaimo in British Columbia. The simple dessert requires no baking; it's a wafer crumb crust layered with custard-flavored butter icing and topped with melted chocolate. 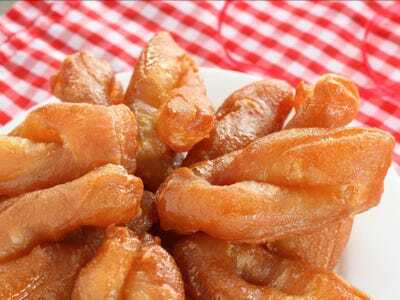 Commonly paired with tea, koeksisters are a South African dessert named after 'koekje,' the Dutch word for cookie. They are extremely sweet rolls of dough that have been fried and dipped in cold sugar syrup. Princess cake -- or prinsesstårta in Swedish -- is a layer cake from Sweden that is covered in a hard topping of marzipan, which is usually green, giving the cake a unique look. 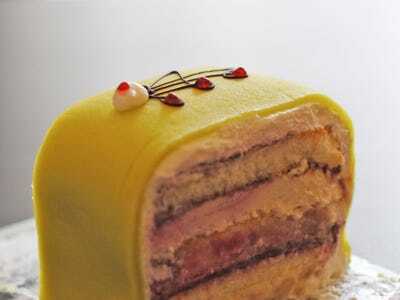 Beneath the marzipan are alternating layers of sponge cake, pastry cream, and whipped cream. 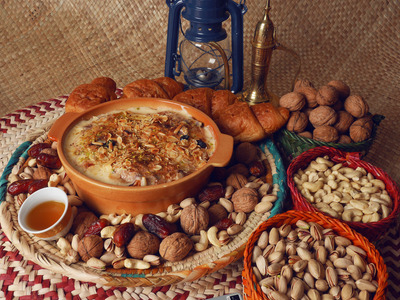 Om (or umm) ali is the Egyptian version of American bread pudding. It is made with puff pastry, milk, sugar, vanilla, raisins, coconut flakes, and a variety of nuts. 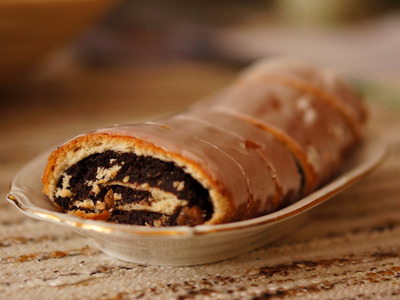 Though makowiec is most often served around the holidays in Poland, the pastry can be found in most of the country all year round. It is a roll of sweet yeast bread that is filled with dense poppy seed and sometimes topped with icing.